The craze for photography ripped through Scotland like a whirlwind following its invention in 1839. 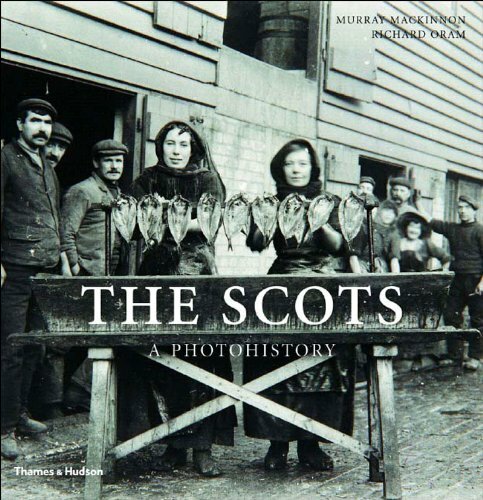 Over the next century, Scottish photographers captured a stunning visual record of their land and its people. Their achievements – never before collected so tellingly – document a century of division, upheaval and change that recast forever the character of Scotland. Here are the triumphs of a self-confident Scotland – the completion of the Forth Bridge and the stream of vessels that slid down the slipways of the Clyde to bind together a far-flung empire – but also its injustices, the story of the rural and urban poor, and the Clearances that drove people from the land to seek work in the cities or new hope in emigration to the New World. This enthralling visual history brings the country and its people to life not only for everyone of Scottish descent, but equally for everyone who has enjoyed the rich character and landscape of this beguiling nation.